Marketing is a clever science. Millions, if not billions, are spent by companies looking to better pitch their products to the masses. Today, we see more green products and “all natural” labels than ever before. While these are more common on food, they are being found on everything from your toilet paper to your all-purpose cleaning products. Many companies using these tactics have found in recent years that the whole “green” and “natural” movement is ripe for the picking. ... Household cleaning products are a common source of chemical-quandary. After all, if the smell is such that you need to open a window while you clean, it can’t be good for you, right? To this end and to corral health and environment-conscious consumers, cleaning product manufacturers have started labeling their products as being “natural” and “non-toxic”. The labels might feature a tree or look like rough, recycled paper, all playing to your desire to have more natural and less harmful products. But many of these manufacturers are deceiving you. The industry isn’t tightly regulated and manufacturers aren’t required to list all of their ingredients. So, in other words, if they wanted you to think they were providing a better, less harmful product, they could just not tell you about the “bad stuff” inside. 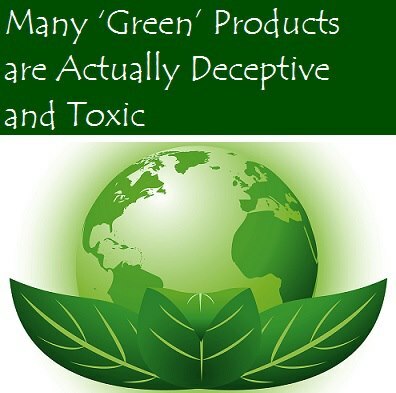 A study that analyzed cleaners and scented products found that even those that claimed to be natural, organic, or “green” contained chemicals with torrid pasts. About half of the products tested made these claims. And of all the products tested, an average of 17 chemicals were emitted during use, though only one made it to the label. In total, the 25 products tested emitted 133 chemicals of which 25% are classified as toxic or hazardous. So, what can you do to truly lessen your exposure to chemicals like 2-butoxyethanol (used in Corexit 8527A and connected to damage to the liver, brain, respiratory system, and kidney) and other such toxins? For a truly all-natural cleaning solution that is completely budget friendly, try mixing up some white vinegar with a touch of lemon juice. Be sure to check out these home cleaning products to replace the toxic culprits.